After purchasing nearly 200 acres of former farmland in 2005, Bob and Jane Miller started their journey in the wine industry. Their vision is to be a boutique vineyard and winery that produces world-class wine to be served alongside any of the best wines from around the world. 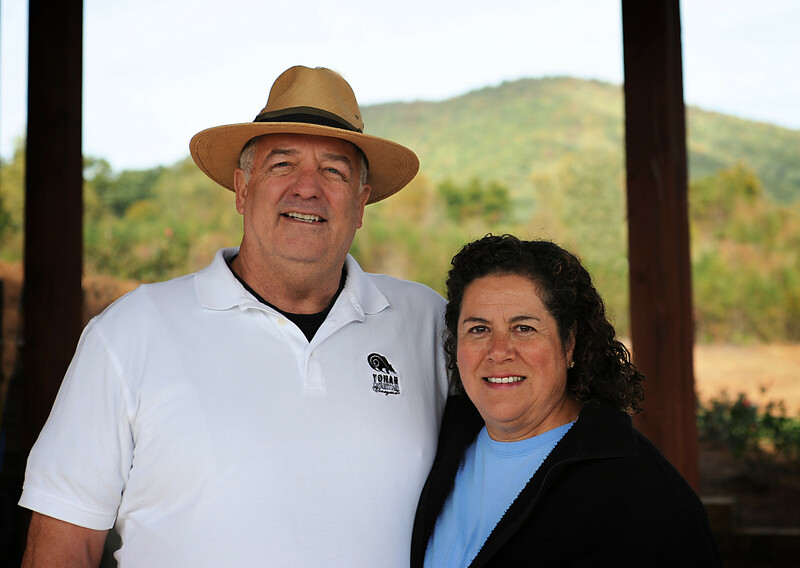 Strong family values are the foundation of Yonah Mountain Vineyards. Bob and Jane’s dream is for their children and grandchildren to share in this family business. Born and raised in Australia, TristEn Vanhoff relocated to Atlanta in 2010 after earning degrees in enology (the science and study of wine and winemaking) and viticulture, the agricultural of vine-growing and of grape-harvesting. As the winemaker for Yonah Mountain Vineyards, TristEn brings a passion to wine making that pushes him to strive for the best in all that he does. Tristan shares the Miller’s vision for Yonah Mountain Vineyards as having a reputation for making only the very best wines. Jorge has been in the vineyard business since December 2012 and became our Vineyard Manager in 2018. His previous work in the Yonah Mountain winery gives him a unique perspective when inspecting and managing the vines. Jorge's work is year round and includes planting and training new vines, vineyards disease management, cultivation, thinning, irrigation, harvesting, pruning, and frost protection.